Darren Cain joined Realty Capital’s development team in 2014 and is involved in all aspects of the development process, beginning with site selection and acquisition and continuing through due diligence, land entitlements, and site planning. Darren manages new projects from the ground up and assists with other projects in various stages of development. Current assignments include a 234-unit Transit-Oriented-Development (TOD) multi-family project near downtown Carrollton, Texas and a 227-unit mixed-use project in southwest Fort Worth. Darren is also involved with the acquisition and closing of numerous other projects throughout the DFW region, including single-family, mixed-use, and town center developments. 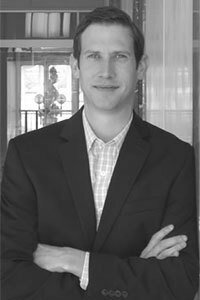 Prior to joining Realty Capital, Darren served as a Senior Planner with the City of Austin’s Residential Planning and Development Review department, overseeing the City’s smart code and sustainability initiatives. In addition, Darren also has experience in the private sector as a Land Acquisition and Development Associate. Darren is a graduate of the University of Houston with a Bachelor of Science in Management Information Systems and Texas State University with a Master of Arts degree in Land Planning and Development.